April 9, 2018 (Seattle, Washington) - Seattle rapper, Huey P continues to drop new music for his listeners. Today, Huey P drops a new visual, “Not Taday”, which is directed by Steve Arcenio. 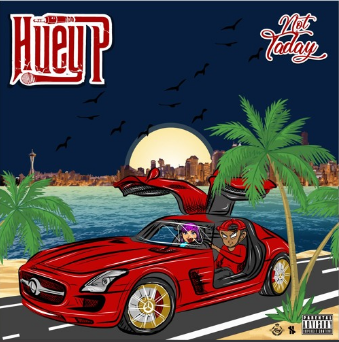 Northwest artist "Huey P" is a great young talent raised in the Tacoma/Seattle of Washington State. Huey immersed himself in the sights and sounds of the emerald city. A storyteller to his very core, Huey began rhyming as a way to tell the world about his experiences as a young man striving to succeed. After teaming up with Tjyolo Ent., Huey began to hone his skills on the local concert circuit opening up for many well-known artists that came through the Washington State area as well as headlining shows of his own. Catching the eye of "DJ VIP" of Nipsey Hussles "All Money In" Family, Huey recorded an EP with the Los Angeles Dj titled "Did You Get The Message" The project was met with enthusiasm from the hip hop fans. Eager to continue the momentum , Huey recorded a Mixtape with DJ Drama and enlisted cameo appearances from "Ty Dolla $ign", Tory Lanez, Cassidy and J. Winans. Not Taday video opens up with Huey P passing his lady a stack of money while she counts it in disbelief. “We just tryin’ make it so that we can take it out the country.” Huey zips through traffic in his red Benz with wifey, stunting on anyone who didn’t believe in his goals and making an everlasting impression to his lady. “I do what I want and you can accompany me”. All of the work he has been putting into his career, he did it all for his wifey and the Devil himself couldn’t stop him from reaching his goal.